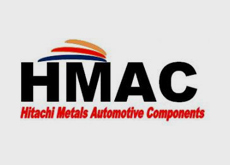 Hitachi Metals Automotive Components USA, LLC (Lawrenceville Facility) | Network Directory : Hitachi in the U.S.A.
Hitachi Metals Automotive Components USA, LLC is a world renowned automotive supplier, providing automotive solutions to brands like Ford, Honda, BMW, and Nissan. We offer advanced automotive components and OEM assembly solutions. Hitachi’s Lawrenceville Facility in Tioga, PA, is a state-of-the-art metal casting facility producing world-class quality ductile iron. We specialize in the manufacture of automotive castings and precision machining. Our products adhere to the highest safety and quality standards.